Does any genuine and passionate tennis fan seriously now deny the concept of the ''Big 4''? Yes, Andy Murray is not quite on the same level as Federer, Nadal, and Djokovic, but his career achievements over the last decade place him waaaaaaaay above the ''best of the rest''. 40 weeks as Numero Uno. 14 Masters titles, including 7/9 of the slots, which is equal to Roger and Rafa. 11 GS finals, 21 GS semi-finals, and 30 GS quarter-finals. Whilst I ain't got no quarrel with the likes of Del Potro, Wawrinka, Berdych, Tsonga, Gasquet, Isner et al., this plucky Scotsman is objectively on a different plane to them. Also, did I forget to mention this? Murray is too away from the Big 3 in terms of Slams.He is 11 away from Djokovic - this is very big gap and this gap will continue to grow. He doesnt even have 50 weeks at Number one while Djokovic have 223 weeks ,Federer -310 and Nadal -192.He is not even close to them in this category as well.So the case for Big 4 is not very strong. I use the Big 3, Big 4, and Big 5 depending on what suits my agenda. The ''Big 3'' and ''Big 4'' are not mutually exclusive concepts. As I freely admit, Andy is behind the Big 3. But his other records and performances place him way above the other perennial top-10 performers. It seems more like it is big three plus Andy. This is completely detached from reality. Cilic, Wawrinka and Del Potro are nowhere near Murray's calibre. Seriously, how many GS QFs and SFs has Cilic reached? How many Masters titles across all surfaces has he won? If you have a problem differentiating between players like Murray and Cilic/Wawrinka, then maybe tennis isn't the sport for you. There's no denial of Andy's achievements. I stick to the 3+1 formula. Delpo, Stan and Cilic are all too far behind him in overall titles won and in not reaching #1 (or even #2). Murray is really on a level all by himself, below the Big 3 but above everybody else. There is a Big 3, a Big 4, and a Big 4 + Stan. It's the big two off clay or the two plus two. You can't have a big 4 when Wawrinka also has 3 Slams to his name. Djokovic has added more Slams to his resume too and now Fed, Nad and Djok are even closer to each other. You can't have a big 4 when Wawrinka also has 3 Slams to his name. No, you can have a Big 5. But Murray has accomplished things that the Big 3 have accomplished which Wawrinka hasn't eg. #1 ranking, WTF, double digit Masters titles so there is a Big 4 as well as a Big 3 and a Big 5. As you'll soon see most of TTW denies this. Murray is no ATG like the others, but to me he still deserves inclusion and he's had his days in the sun. Murray definitely big at slams, has had one of the most dominant runs on tour, and his late 2008 to 2009 on hard courts mightily impressive in the face of two greats. And the Big 7 this US Open with Delpo and Zedrot. If he wasn't from the UK would you have made this post? If we're talking about a big 4 based on results in his era, it's fairly obvious he's the nearest to the big 3 in results and consistency. Just as Hewitt, Roddick, Rafter and thousands of others who we've mostly forgotten were in their eras. The fixation on the big 3 is not just about results compared to their era(s), but about their position in the history of the game ie across all eras. Murray won't be remembered in the top 10 ATGs. Not even close. Big 3 will be in most ppl's top 5. It's that simple. That is the conversation that matters and Murray simply does not belong there. Well, of course. Why does it matter where he comes from? We're talking about his achievements on the tennis court, not where he went to school. Ditto the Big 3 and every other tennis player! Big 4 NEVER existed. It is FAKE news frenzy. I am disinclined to acquiesce to a big 4 concept when Wawrinka won the same number of slams and in a more dominant fashion imho. I'll take Wawrinka over Murray any day so no there is no big 4. Of course it matters. Get it. He is from the UK and all the hype about him was created because he is from THAT country. The media squeezed him in even as a HALF!!! I am disinclined to aquiesce to a big 4 concept when Wawrinka won the same number of slams and in a more dominant fashion imho. When was the Big 3 term coined? Straight after Djokovic won his third slam or? Imagine if Djokovic was from the UK! I will go one step further. If he was an American Novk would be presented in the US media as the greatest ever or the very least better than Nadl only because Fedr or Nadl are not Yanks. And I am not saying Lendl type but an American. That's how much it matters where an athlete is from and his/her status to greatness. The same is applicable to both Fedr and Nadl. Imagine that!!! And also imagine if Murray was from Kazahstan. We wrote Monday that the Big Four of men’s tennis — Roger Federer, Rafael Nadal, Novak Djokovic and Andy Murray — dominate the sport despite the seemingly seismic upsets at the U.S. Open on Saturday. Kei Nishikori and Marin Cilic upset Djokovic and Federer, respectively, in semifinals and will play the final Monday. But Djokovic, Nadal and Federer remain far ahead of those two upstarts and other younger challengers in the rankings. At the time Murray had only 2 slams and was already pumped by the Brit and Western media as a part of the Big 4!!! Nothing against Stan who is great once he makes it to a slam final, but there is no way I would take him over Murray on a day to day basis over the course of a season. the Big 4 is a concept, for sure. the Big 3 is just a more meaningful one. Big 3,they are just streets ahead. Andy is in a little division of his own then come the Warinkas and Cilics. The first time the media and fans started using 'the big 3' term was back in 2007 after Djokovic def. #3 Roddick in QF, #2 Nadal in SF and #1 Federer in F of Rogers Cup in Montreal. It was Djokovic's second master win after he won Miami by def. Nadal in F and it was somewhat clearly to everyone that he will be a part of 'something' BIG. Djokovic was the runner up at the USO2007, losing to Federer in the final and he finally won his first major by winning the AO 2018 def. Fed in semis. So, the big 3 term was kinda cemented in the media at that time. That was just the beginning,. The rest is history. The thing is that finally someone showed up who was able to be competitive with Fed and Rafa. So, the big 3 is defined by their ability to produce extremely competitive matches playing at the level a way above the rest of the tour. They left the rest of the tour in dust by a huge margin. They were winning almost all tournaments left and right. 11 years after they still dominate the tour. Maybe be 'dominate' is a strong word nowadays but it is what it is. They are still ranked #1, 2 and 3 11 years after ... So, kudos to them as they did something absolutely amazing, that had never happened before. Their results, number of majors, masters and overall number of tournaments they managed to win or consistently playing in the last rounds of all tournaments they played is almost beyond comprehension. Again, their ruthless consistency is something that define them as the big 3. Their h2h, level of their matches when they meet one another ... Add to that number of matches they played against one another and it is clear. As much as I like Murray, if you really look at the big picture he doesn't really belong there. It doesn't matter to me if people prefer to use 'big 3' or 'big 4', but let's be honest ... There was/is still the Big 3 and Murray is not there. Fed, Nole and Rafa are in their own league. Murray did have some great wins. He is a great player, but still If we are completely rational and neutral there were never a big 4. People who say, 'if he wasn't British' do have a good point. I do hope that Murray will come back, be 100% healthy. He might win another major or more. It's hard to say ... things change quickly in tennis. On the other hand, everyone is getting older, some new young guys will take over eventually and become new champions. I'm just not so sure that we will every, or for a very long time see 3 players like 'big 3' winning over 50 majors combined, playing in same era or so along each other. I hope I'm wrong though. Yeah, let’s just overlook the fact that Stan did very little for the majority of his career and only became a force at 29. Yeah and now lets take these particular stats and compare them all against the big-3! Davis Cup - Everyone of them one at least once, nothing special...Nadal won it multiple times for his country and only on one occasion wasn't instrumental in bringing his team to the glory! GS Performance Stats - 11 finals/21 semi-final and 30 quarter-finals, yet only three grand slam victories! Lol The most important here to see overall picture is the difference between strike rate between all three of them! And this is where all three trumps him badly! So no, he has no bragging rights to be grouped with the big-3 anymore for whatever silly reason you choose him to! All three are miles ahead of him and the some! Its Big-3+Murray, sorry! For me, there are Big 4. 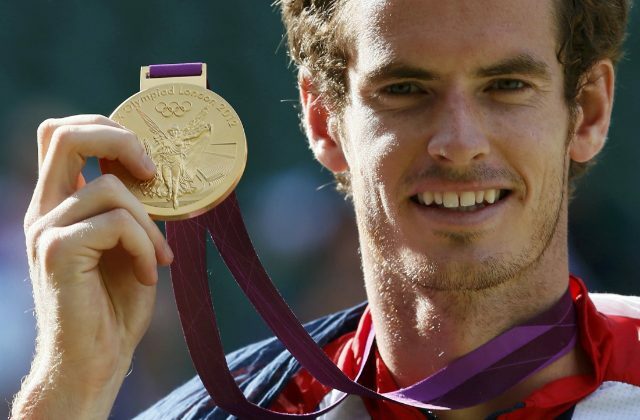 Murray is in based on his competitiveness and he is the Olympic GOAT. Maybe if there were some kind of parallel reality, where Olympic Tournaments were valued more than grand slams...in that case i would take this argument seriously...otherwise - moot point! Murray held his own in the strong era. Oh, no doubt about it! But thats not the point! The point is whether he belongs into big-4...he achieved great on his own, but big-3 are miles ahead of him! For me, he is one of the best players ever as I take into considerations competition he faced. In any other time he would have double digits slams. I have to respectfully disagree. It is crucial what field you play against.